The Pound Australian Dollar (GBP/AUD) exchange rate is up today and is trading around AU$1.8173 on the inter-bank market. The Pound (GBP) gained on the Australian Dollar (AUD) today as Prime Minister Theresa May’s Brexit ‘Plan B’ is beginning to gain traction, with the EU’s Chief Brexit Negotiator, Michel Barnier, saying that developments between the UK and the EU ‘could start moving rapidly’. This came after the former UK Chancellor George Osborne commented that an extension of Article 50 is ‘most likely’, which has further buoyed investors’ confidence in the Pound as the Brexit deadlock continues to be challenged. An amendment put forward by the Labour MP Yvette Cooper and Conservative MP Nick Bowls on Monday is likely to be backed by Labour leader Jeremy Corbyn. Shadow Chancellor John McDonnell said that the amendment effectively increases the likelihood that the government will extend Article 50, opening up the possibility of a second referendum and reducing the threat of a no-deal. 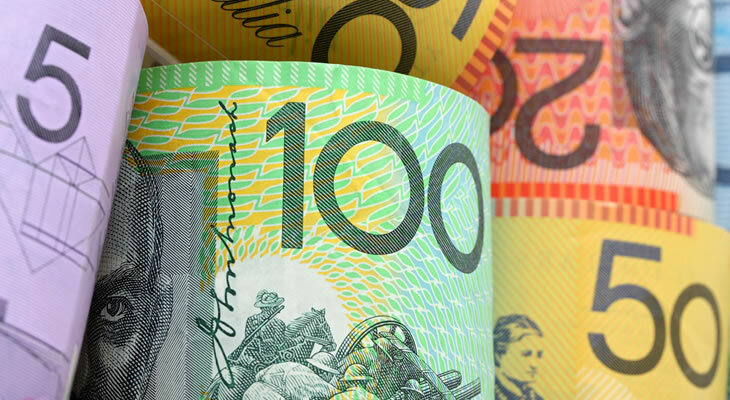 The Australian Dollar, meanwhile, failed to recover from last night’s publication of Australia’s Westpac leading indicator for December, which fell to -0.2%. The ‘Aussie’ has also been hit by headlines concerning the US cancelling trade planning meetings with China over fundamental disagreements about intellectual property rules. These are also related to fears over a possible ‘tech war’ between the US and China threatening to pull investments in Silicon Valley – motivated by recent controversies over Chinese tech giant Huawei. With signs of increasing trade tensions between the US and China, and the announcement from Chinese President Xi Jinping that his economy is struggling, the ‘Aussie’ is suffering as traders flee for safe-haven currencies. Pound investors will be paying attention to Brexit developments this week as Theresa May once again rallies to gain Parliament’s support for her new Brexit deal and Jeremy Corbyn pushes forward to prevent a no-deal. Any signs that Brexit will be delayed, or the increasingly likelihood of a second referendum, could see the Pound rise further against the ‘Aussie’. AUD investors, meanwhile, will be looking ahead to Thursday with the publication of Australia’s unemployment rate figures for December. Previous ArticlePound Euro Exchange Rate News: GBP/EUR Breaks Through €1.14, Growing Brexit Optimism to Push Sterling Higher?